Some clouds this morning will give way to generally sunny skies for the afternoon. High 81F. 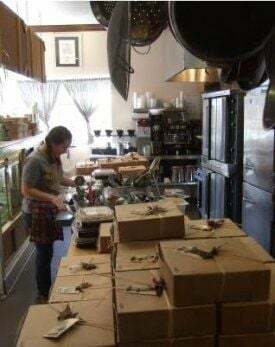 Winds S at 5 to 10 mph..
Delilah Bakery in Echo Park is gearing up to bake up hundreds of pies – including Pecan Bourbon, Tollhouse Cookie & Dutch Apple – in time for Thanksgiving. But pie lovers need to order the holiday pies – as well as large servings of Whiskey Bread Pudding and Apple Brown Betty – in advance. Pies cost $23; Whisky Bread Pudding & other specialties, $18. It’s the holidays. So, you might as well splurge on a $5 tub of whipped cream.